Private collections of botanical art collectors. Many museums have no botanical art collection as such. However what they do have is artwork by specific artists who painted plants and flowers - such as this painting by Redoute in the collection of the Los Angeles County Museum of Art. It's always worth checking out any favourite artists to see if you can find a listing. The Hunt Institute for Botanical Documentation opened in 1961. It promotes the history of botany through its collections, research, exhibitions, publications, and services. The Hunt Institute was founded as a library focused around the collection created by Rachel Hunt. Between 1730 to 1840 she collected over 1,300 botanical watercolors, drawings and prints. The Art Collection has since grown to include 29,504 items. Exhibitions are open to the public free of charge and are held in the 5th floor Gallery of the Hunt Library building at Carnegie Mellon University. Hunt Institute: Georg Dionys Ehret Botanical artist Georg Dionys Ehret Collection at Hunt Institute for Botanical Documentation. Hunt Institute: Margaret Mee Botanical artist Margaret Mee interview broadcast in November 1988 on The MacNeil-Lehrer News Hour. Anne Ophelia Todd Dowden Collection Anne Ophelia Todd Dowden (1907–2007) extensively researched and then wrote, illustrated and designed 9 books and 5 magazine articles and illustrated 9 books and 9 articles by other authors on plant themes. more than 12,000 works of art, including original paintings, pen and ink, colored pencil, scratchboard drawings, nearly 1,000 nature prints, as well as a variety of lithographs, etchings, engravings, aquatints, and commercial reproductions of plants and the insects/animals related to them. Plants and Gardens Portrayed: Rare and Illustrated Books The LuEsther T. Mertz Library of the New York Botanical Garden houses a treasury of published and archival documents that trace the development of botany and horticulture from the twelfth century to the present day. 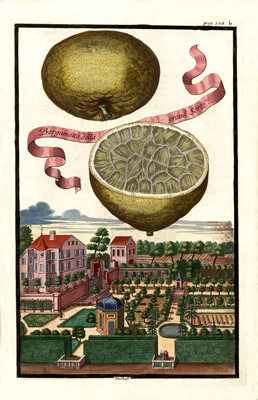 Johann Christoph Volkamer’s Nürnbergische Hesperides (1708), documenting both the introduction of Italian citrus culture to Germany, and the revolution in urban planning which ensued from the parks designed for their cultivation and irrigation. a copy of Maria Sibylla Merian’s Derde en laatste deel der Rupsen Begin (1717), the first book to depict insect metamorphosis, reputedly hand-colored by her daughter. Ware Collection of Blaschka Glass Models of Plants, the “Glass Flowers." Over 4,000 glass models of 830 species created over five decades. 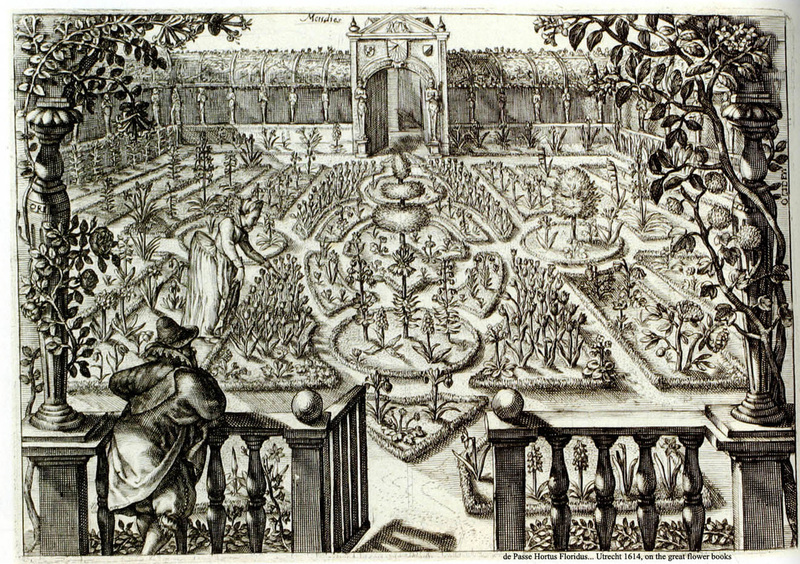 They provided life-like representatives of the plant kingdom for teaching botany. Reopened to the public in May 2016 following a major restoration (see video below). The Department of Botany of the Smithsonian Institution's National Museum of Natural History has created a database of the more than 3000 botanical illustrations curated by the department's scientific illustrator, Alice Tangerini. This is the largest collection of botanical art in the USA and continues to grow. It's been exhibited at the Hunt Institute for Botanical Documentation in Pittsburgh, The New York Botanical Garden and the Shirley Sherwood Gallery at Kew Gardens. I've had the pleasure of meeting Isaac M Sutton at Kew and wrote about his collection, how it came about and how he plans to develop it in Botanicals - Environmental Expressions in Art - a review. You can view another interview with Mr Sutton in a Kew blog post Inspired to collect: The Alisa and Isaac M. Sutton Collection. ​You can also see his collection on Facebook. Isaac M Sutton with his favourite painting in his collection The Sutton Dogwood, Gouache on paper (2001) by Katie Lee. He commissioned this painting of the dogwood which flowers at his home in Brooklyn. He also plans to commission a series of paintings by different artists to paint the tree at different times of the year. This is a book celebrating key paintings in the collection and is available to buy when the collection is exhibited. I recommended people buy it at the time as the price would only go up over time - and I was right!